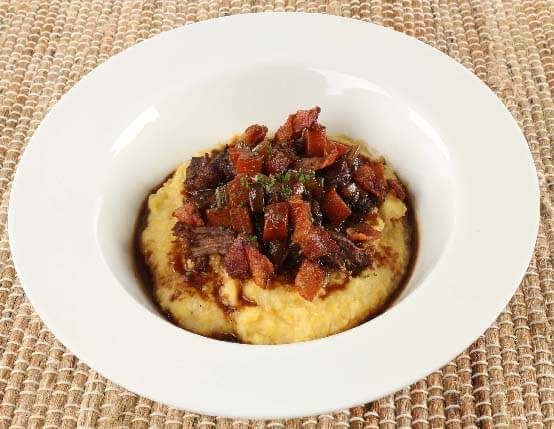 Perfect for a cold night, this rustic comfort food recipe pairs bacon-braised venison with creamy, cheesy polenta. Recipe featured on Dan Small Outdoors Radio, Wisconsin’s #1 Outdoor Radio Show. 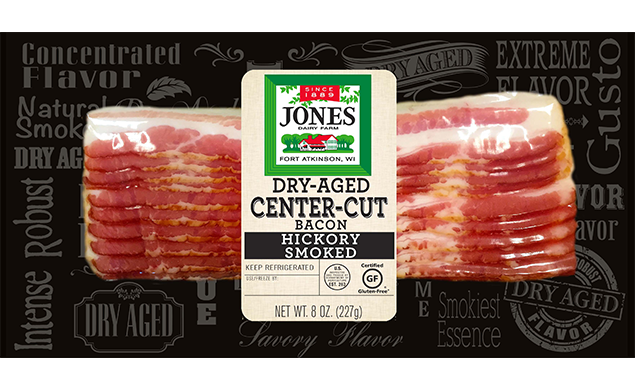 Cut bacon into 1/4-inch pieces. In dutch oven, or high-sided, ovenproof sauté pan, cook bacon on medium-low until crispy. Remove bacon and set aside. Season venison with salt and pepper and dust with all but 1 tablespoon flour. Place in pan with bacon fat over medium heat and brown on all sides. Remove venison from pan; add vegetables and cook for 2 minutes. Add remaining tablespoon of flour to pan and mix; cook for 1 minute. Add red wine and reduce by quarter. Add beef stock, garlic, thyme and venison back to pan. Bring to a simmer; cover and place in 350ºF oven for 2 to 3 hours or until fork tender. Bring chicken broth to a boil in medium sauce pan. Wisk in polenta and reduce to simmer. Cook for 30 minutes stirring occasionally making sure polenta doesn’t stick to bottom of pan. To finish, add cheese and butter and season with salt and pepper. This was excellent! My husband gave me an A+ for this dinner.